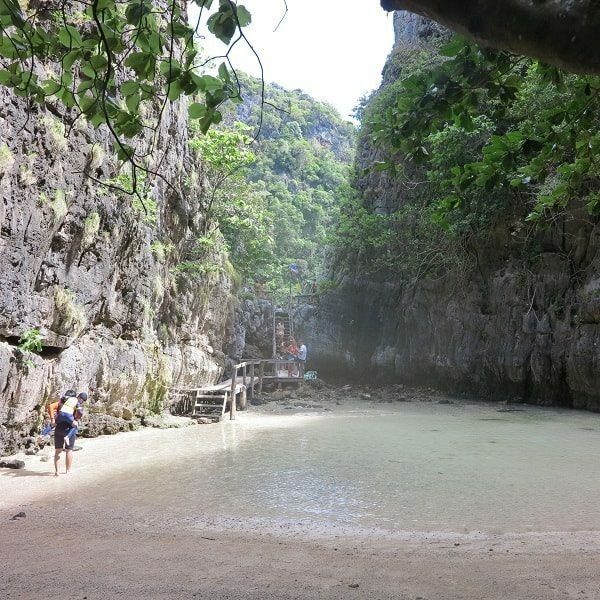 Recommended Phi Phi day trip tour by speedboat. This tour includes more, and does it better than the others. 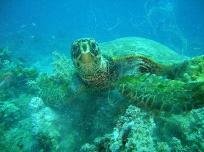 Two organised snorkeling sessions of 30-40 minutes each. 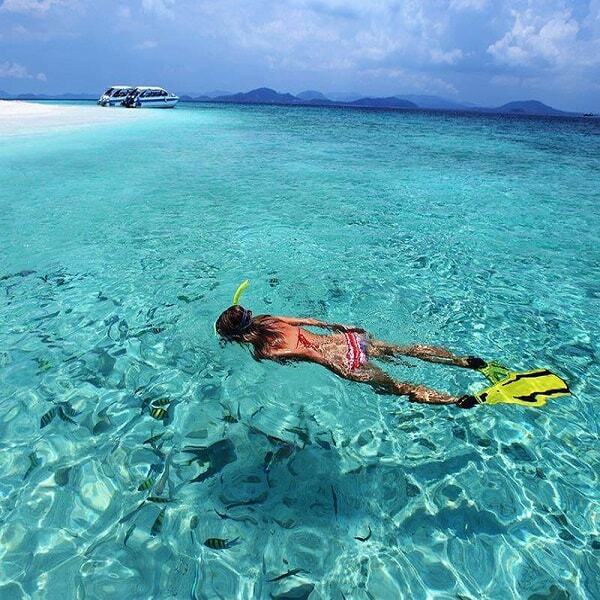 05.30-06.40 hrs: Pick up from your Phuket hotel and transfer to the marina. If you missed breakfast there is complimentary light breakfast with tea & coffee available. 07.00-07.15 hrs: Speedboat departs from Royal Phuket Marina. The speedboat to Phi Phi Islands takes about 60 minutes. The morning is spent at Phi Phi Ley, the uninhabited Phi Phi Island. 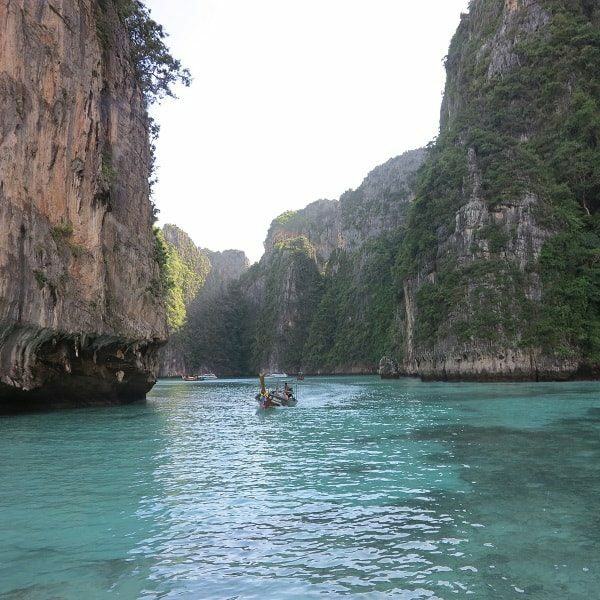 This is the best area for Phi Phi snorkeling. Phi Ley cove. A stunning lagoon surrounded by high cliffs. You can jump from the boat for a swim here. Camel Rock. Spectacular rock formations for sightseeing and photos. Viking cave. Where Swiftlet nests are harvested to make “Birds nest soup,” popular in Asia for it’s healthful qualities. Monkey beach. 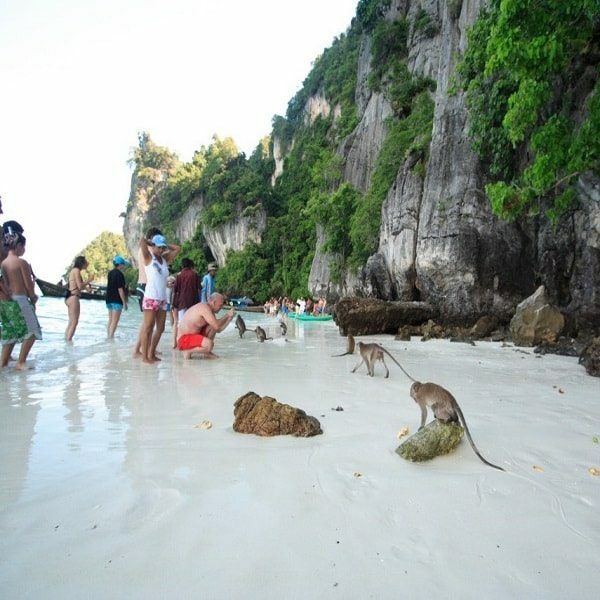 A white sand beach with lots of cheeky monkeys. Loh Samah Bay and Nui bay. 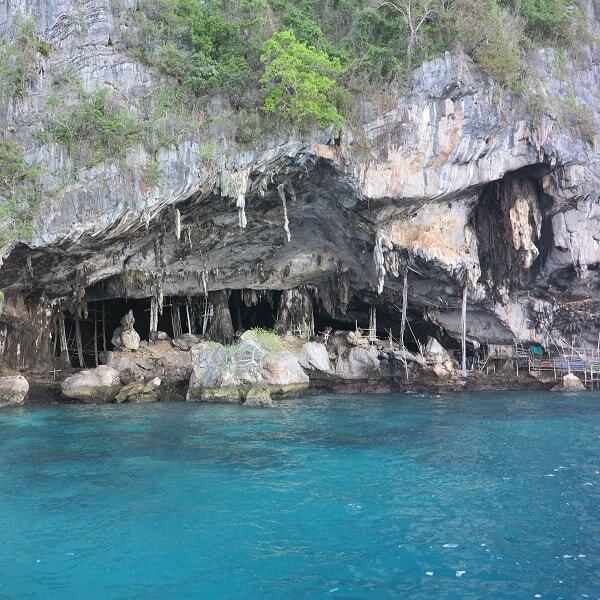 Favourite snorkeling spots at Phi Phi Ley, both are beautiful coves with coral reefs and lots of fish. 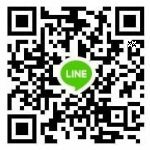 Hin Pae. A submerged rock (coral mountain/bommie). Clear water, lots of fish. 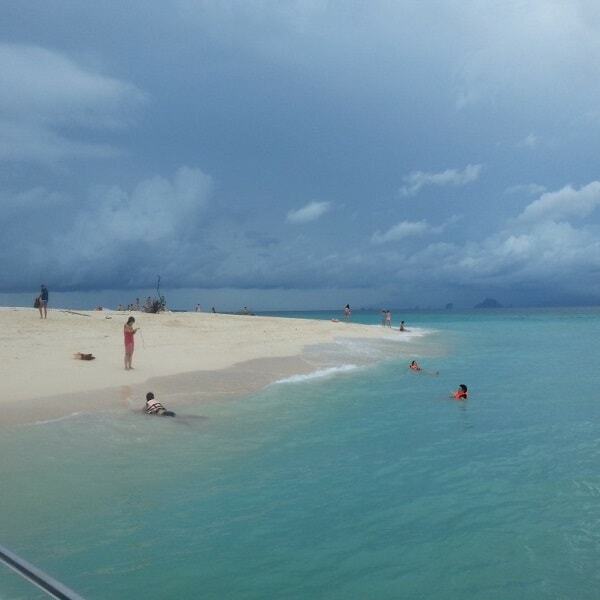 12.00 hrs: At lunch time the boat moves to Bamboo Island. 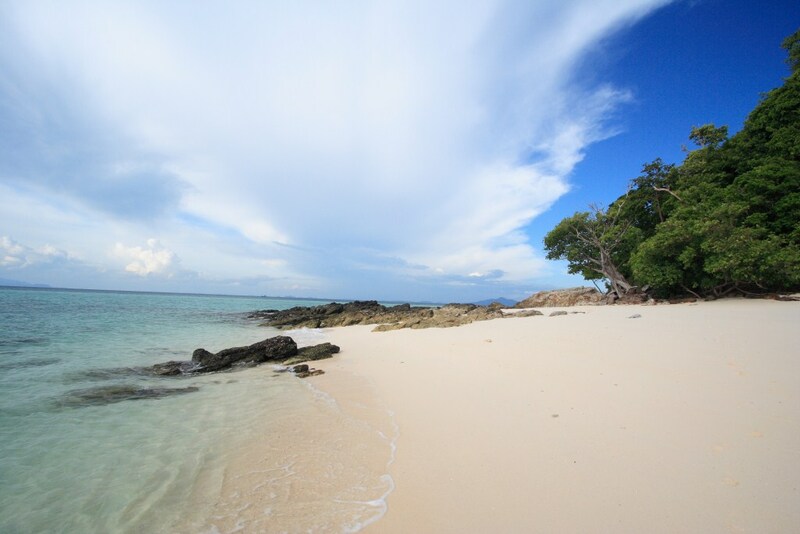 This tiny island has powdery white sand beach with turquoise water for swimming and snorkeling. A picnic lunch is served in the shade of the casuarina trees. 13.00 hrs: Most of the afternoon is spent at Phi Phi Don island, on the quieter east side. 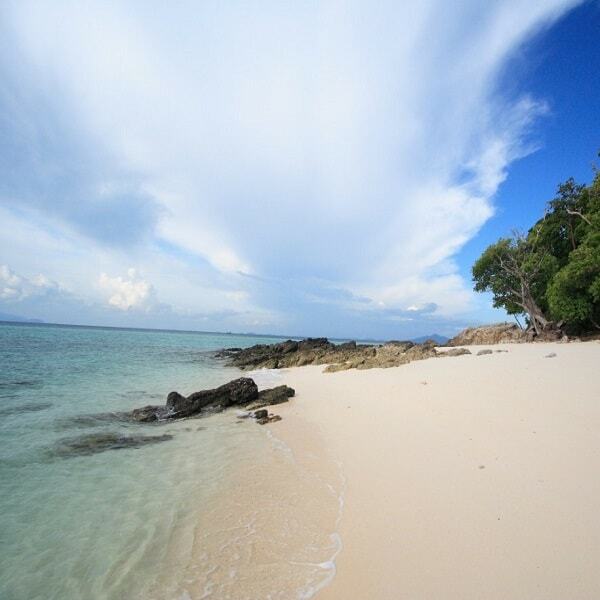 You can relax on Laemthong beach or explore the local village nearby. Or take the trek up to the view point*** for amazing scenic views all over Phi Phi. 15.00-16.00 hrs: The speedboat departs Phi Phi and returns to Phuket. 16.00-17.30 hrs: Transfer back to your hotel. Itineraries are subject to change based on tides and weather. 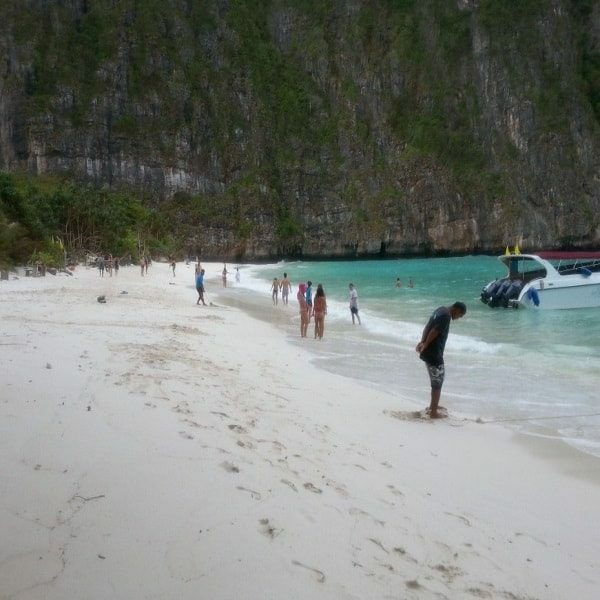 **Maya bay cannot be landed on, it is closed for conservation. The boat will pass Maya bay for photos. ***If it’s raining the Phi Phi viewpoint will not be visited. 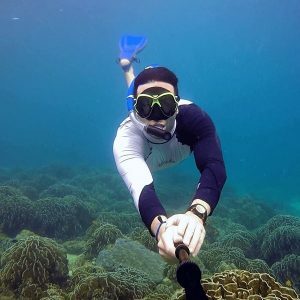 Price includes: Guide, snorkeling equipment (mask, snorkel and fins), lunch, drinking water, soft drinks, fruits, national park fees, insurance, life jackets, Phuket hotel transfers*. *Hotel pick up and transfer: Return transfers by shared minivan service are provided from all hotels on Phuket Island, they cannot be provided from private addresses or AirBnBs. Restrictions: This tour is not suitable for children below 3 years of age, pregnant women or people over the age of 70. – 7 days or more prior to the package or tour date: full refund less bank fees. – Within 72 hours of the package or tour date, or no show: 100% of total price. Weather Policy: This is an all weather tour and still runs if it’s raining in the morning. Tours are cancelled if rough sea unsafe for small boats is forecast. The decision to cancel is made on the morning of the tour by the boat captain and the harbour master. If a trip is cancelled due to bad weather you choose to reschedule or take a full refund. This Phi Phi Islands early morning tour starts one hour earlier than most other tours to get to Koh Phi Phi before all the other speedboats arrive from Phuket and Krabi. So you can enjoy more of the natural beauty without the crowds. In recent years as Thailand tourist numbers have swelled Phi Phi Islands has become a victim of it’s own success. Some areas like Maya bay, the most popular spot at Phi Phi, can get so full of day trip tour boats that it’s hard to see the beach. By going early you get to see Phi Phi as it should be, for a while at least. The speedboats take 10-30 passengers (30 is the maximum). Lunch (a Thai food buffet) is served at Bamboo Island where there is time to relax on the beach, swim or do some more snorkeling. 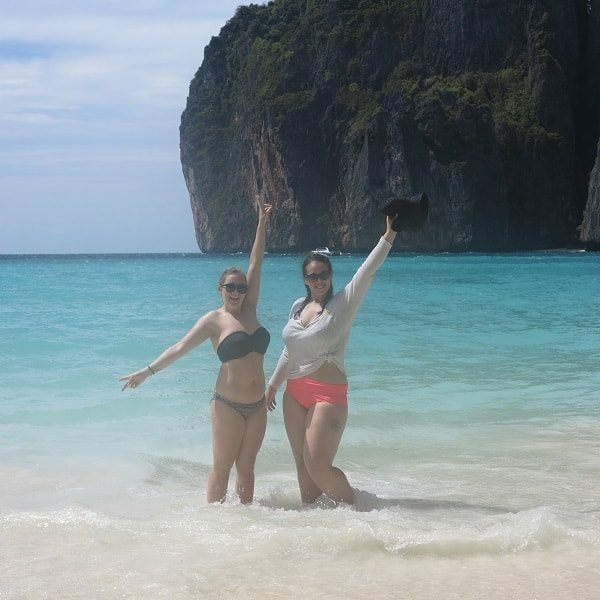 The best tour we did while we were in Phuket! We had an awesome day! Thank you to everyone. We are dreaming about coming back to Thailand. 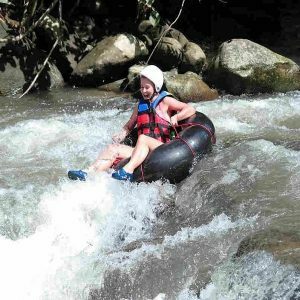 Great tour – amazing location but also well planned to see as many different bays,beaches and snorkeling spots in the area and trying to avoid the crowds. 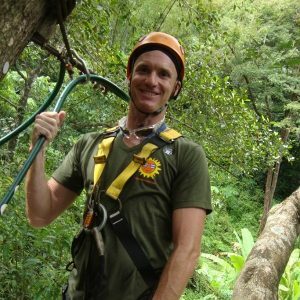 Great service by the guides, delicious lunch and snacks. Also quite eco friendly. Highly recommended!